Dentist In Kuala Lumpur, Petaling Jaya, Malaysia | Britesmile iSmile Dentist Malaysia Provides Teeth Whitening Services & Others » More Hanoi pictures. 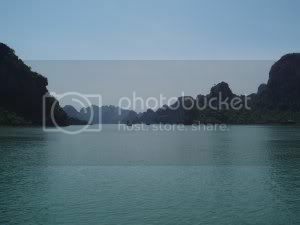 Let me show a few more pictures of Hanoi.TC and I went to for a 3-days and 2-nights Halong Bay tour,from Hanoi. That’s me,waiting at the pier,all ready to board the boat. 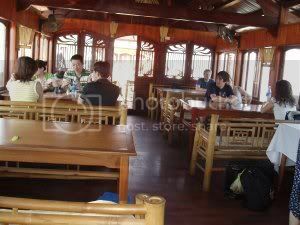 This is the dining hall in the boat where we had our meals. 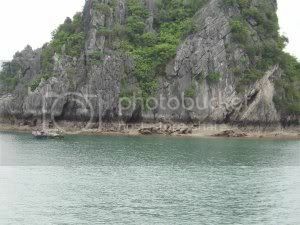 Halong Bay is a body of water of approximately 1,500 square kilometres in north Vietnam with a 120 kilometre coastline, in the Gulf of Tonkin near the border with China, and 170 kilometres east of Hanoi.The bay was World Heritage listed by UNESCO at the 18th meeting of the Committee of the World Heritages of UNESCO.It is one of Vietnam’s most popular tourist destinations. 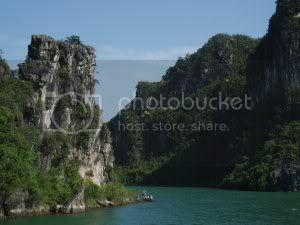 We woke up in the morning on the boat the next morning,to low tide in Halong Bay. 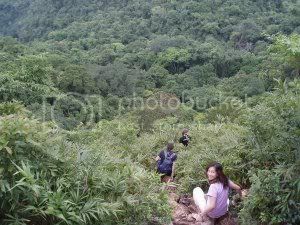 We went jungle tracking in the National Park on Catba Island,the biggest of the nearly 2000 islands scattered in a dense cluster in Halong Bay. 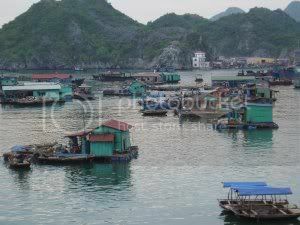 Some of the islands support floating villages of fishermen, who ply the shallow waters for fish and mollusks. 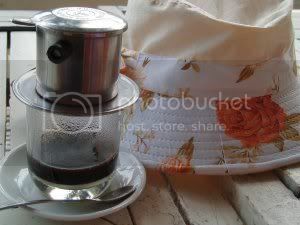 Vietnamese coffee,the real thing!It’s so strong that expresso seems mild! 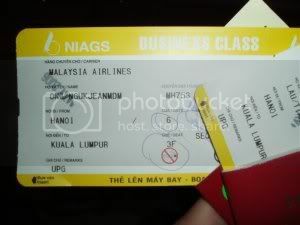 Our holiday ended with a very pleasant surprise.Malaysian Airline actually upgraded TC and I to business class seats on our journey home to Kuala Lumpur. Vietnam coffee is the best. I’ve just refilled my stock too ;). Hey, MAS gave you free upgrade issit? So luck! Yup,got to give some credit to MAS,after all the bashing they have been getting..